The “authorities” of the annexed Yalta sold the historic building erected in the city center in 1901 – the Metropol Hotel. According to preliminary information, the hotel was bought for $ 3 million, according to Krym.news. However, nothing is known about the new owner of Metropol, who wished to remain anonymous, perhaps fearing Western sanctions. 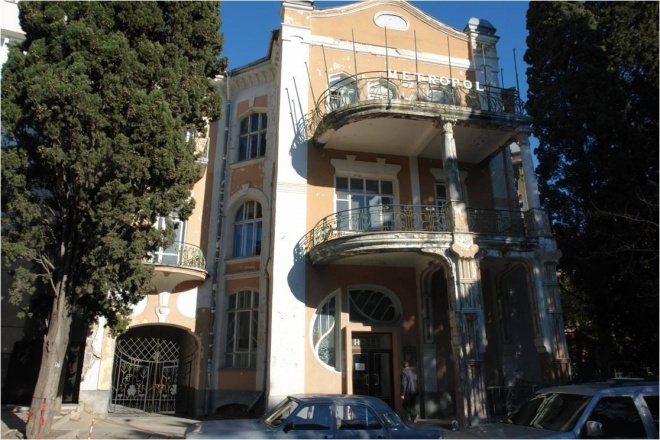 The historic building is listed as a cultural heritage site of the Crimea, but plaster has partially come down from its facade, the balconies are in a state of disrepair, and the doors are rotten. The State Committee for the Protection of Cultural Heritage of the Crimea noted that buildings that belong to cultural heritage sites cannot be demolished and rebuilt. Only reconstruction and restoration on the basis of previously approved projects is permitted. In August 2018, the Kremlin-controlled “government” of Crimea decided to sell the oldest hotel Krym in the center of Yalta. The hotel was built at the end of the 19th century according to the project of architect Nikolai Krasnov and is an object of cultural heritage of regional significance.